With every bit of new technology that hits the market, it’s hard not to wonder: In what previously unimagined ways will this compromise my privacy? Turns out that’s also something very much on the mind of the people who make the latest gear. 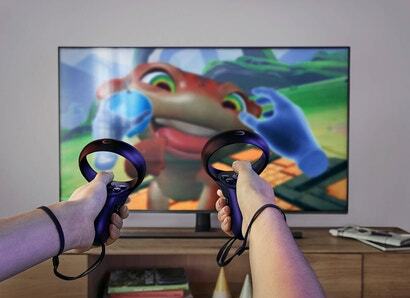 Today, Oculus co-founder Nate Mitchell informed the public via Twitter that tens of thousands of Oculus Touch controllers have shipped with creepy privacy-related Easter Egg messages hidden on their internal hardware. Nintendo put a message on the switch pro controller pcb. But it's not 'creepy'. Did get a story here though I'm pretty sure. What a pointless article. This is a non issue.